Soulfly have announced a run of six UK summer shows. They’ve been lined up to support their 10th album Archangel which is released on August 14 via Nuclear Blast. 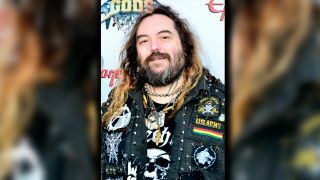 Mainman Max Cavalera says: “I’m thrilled about the upcoming Soulfly tour. For the first time in the UK, I will be playing with both of my sons, Zyon and Igor. You probably will never see this lineup again. Cavalera previously said Archangel would have an “exotic” feel and is very different to 2013’s Savages. Tickets for the shows are on sale now via SeeTickets and Ticketline.